Nümbrecht is a small town of 17,000 people in Bergisches Land, deep in the west of Germany. One of their number could be a Grand Prix hero. 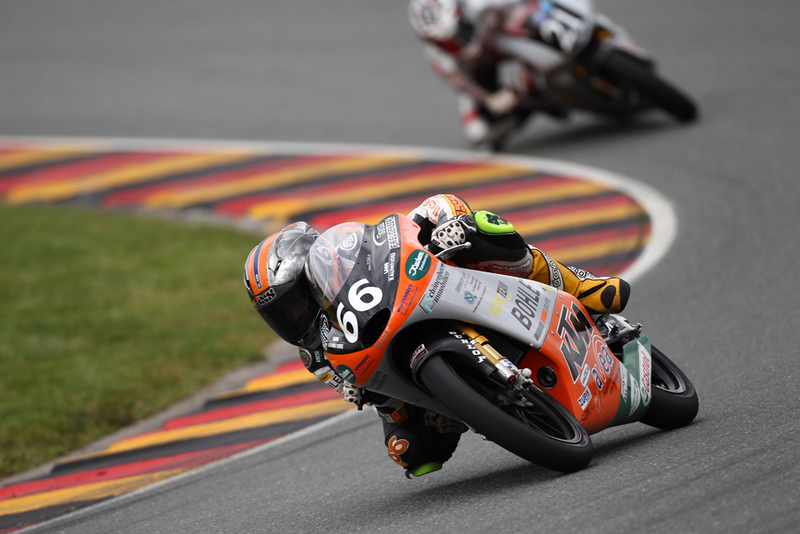 Judging by some of his results in 2012 Florian Alt is firmly on the way to MotoGP stardom. 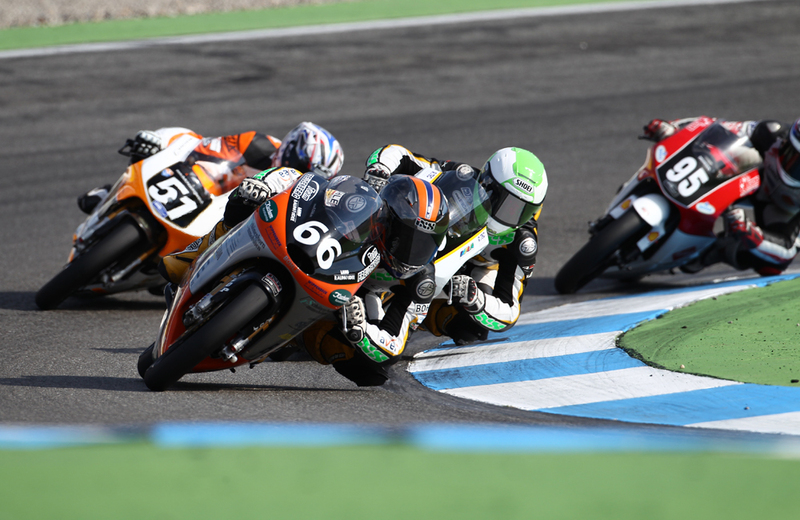 In the last six-seven months the 16-year-old KTM rider has claimed both the German 125cc Championship and the Red Bull MotoGP Rookies Cup. He is still in school and – naturally – lives at home with his parents. 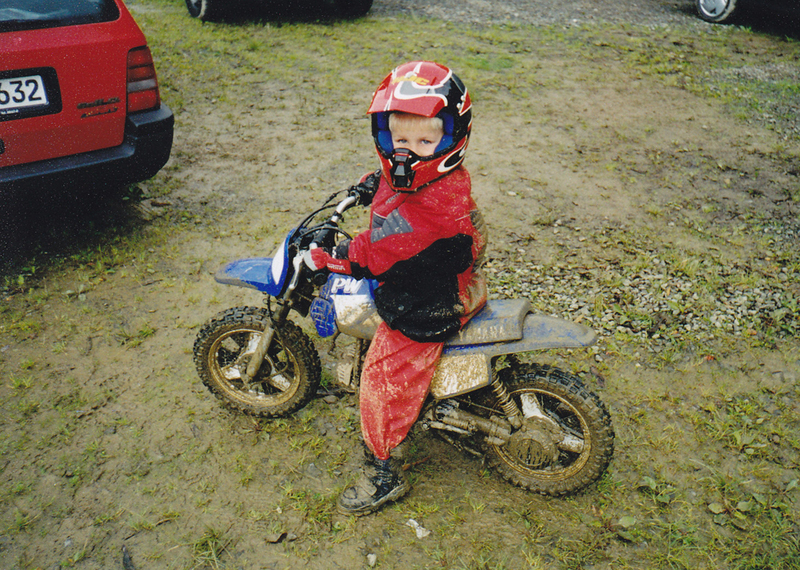 His parents have been supporting his racing obsession for more than ten years now and the family hit the race-tracks together in the summer. 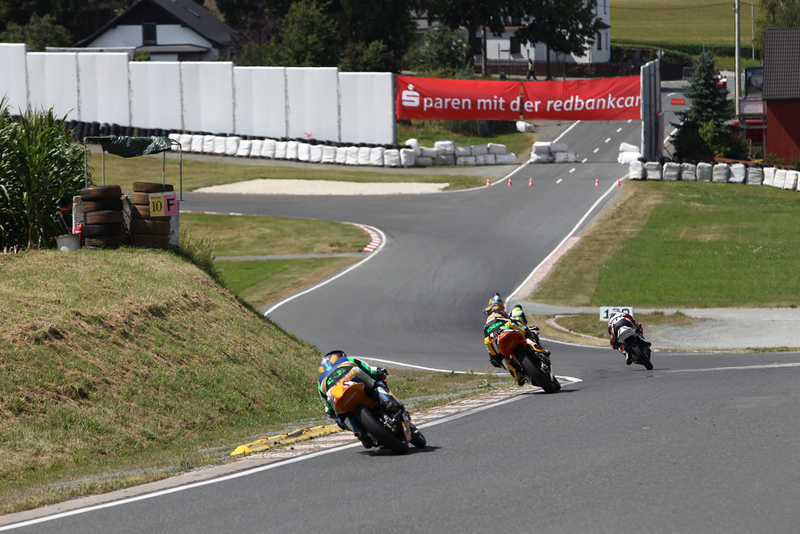 Pocket bikes and various mini bike classes were followed by 125cc racing machines before “Flo” eventually landed in the IDM (International German Championship), riding his way closer to the top each year. 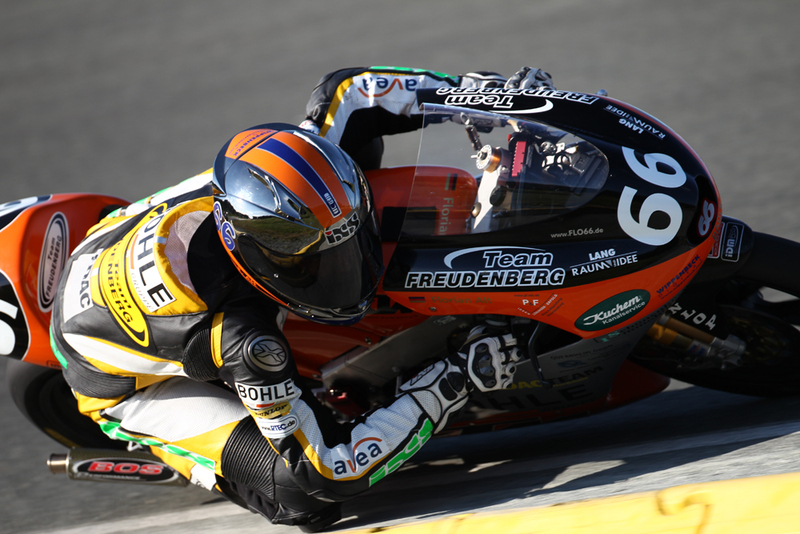 In 2011, he rode a 125cc KTM two-stroke bike for the first time as part of the Freudenberg Team. The walls of his bedroom are not peppered with pictures of girls or teen idols. Instead, a Lego Technic motorbike sits on the windowsill. And a remote controlled buggy is tucked away in the wardrobe. The model car is fitted with a “nitro” engine, which is important, “as they are faster than ones with electric motors”. But Florian prefers to show us his mini helicopter, which he controls via an app on his iPhone. 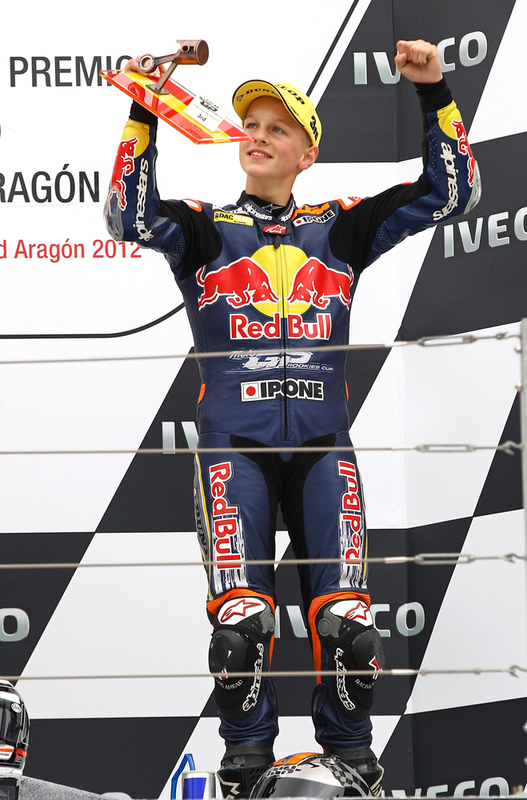 In 2012, Florian enjoyed a sensational season. 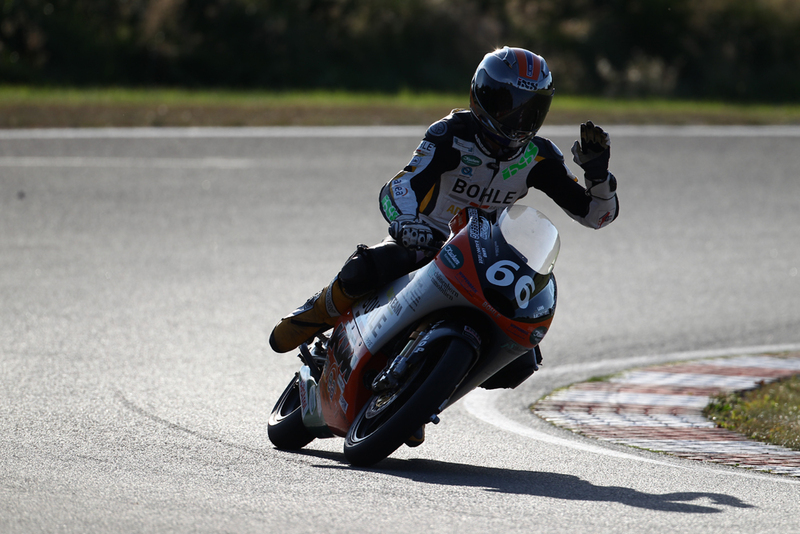 In the combined Moto3/125cc IDM, he won the two-stroke class on a KTM 125 for Freudenberg, even though he wasn’t able to take part in five races. 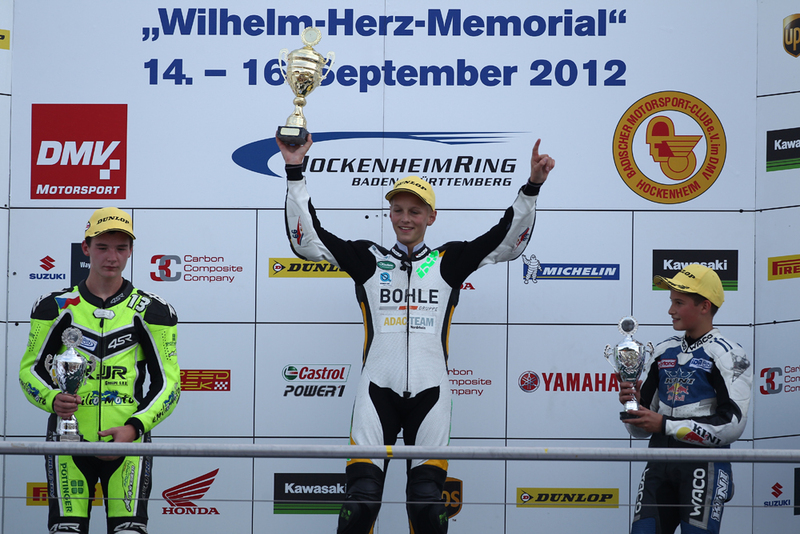 He did, however, win the remaining eleven races that he contested (there were usually two heats for each IDM event). 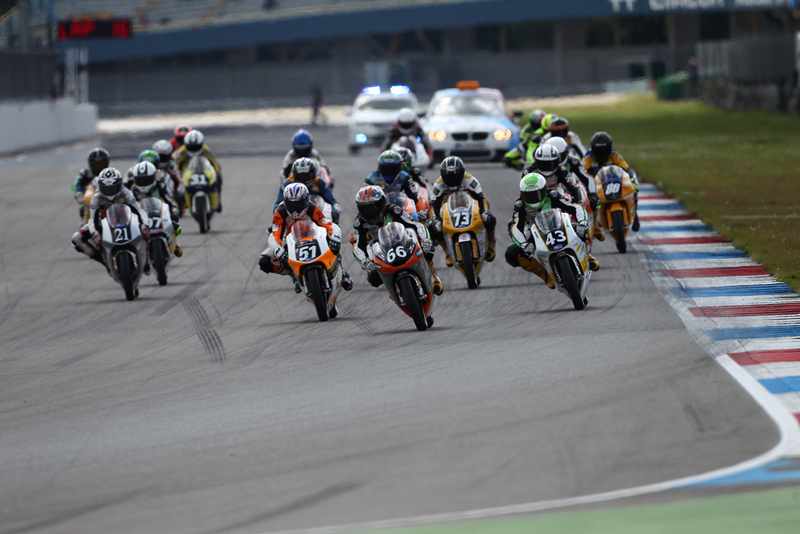 The Red Bull Ring and Hockenheim were tricky, because he was due to race in the Rookies Cup in Assen and Misano on the day before. 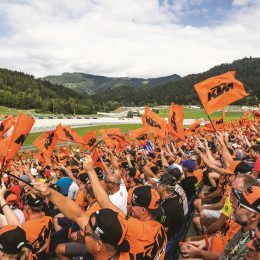 The solution to the time and distance problem was as follows: his dad Uwe and his mechanic Frank drove more than 800 and 1200 kilometres through the night to get him to the IDM event. Due to special permission, he only took part in the warm up as training and started the race from the last place on the grid. 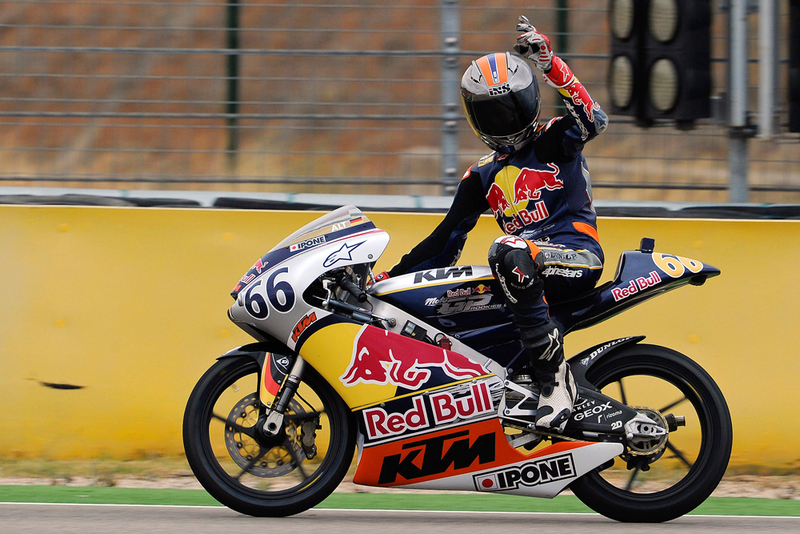 Importantly Florian earned the title in the Red Bull MotoGP Rookies Cup as well, which was also contested with 125cc two-stroke KTM bikes (Moto3 four-stroke engines will be used for the first time in 2013). 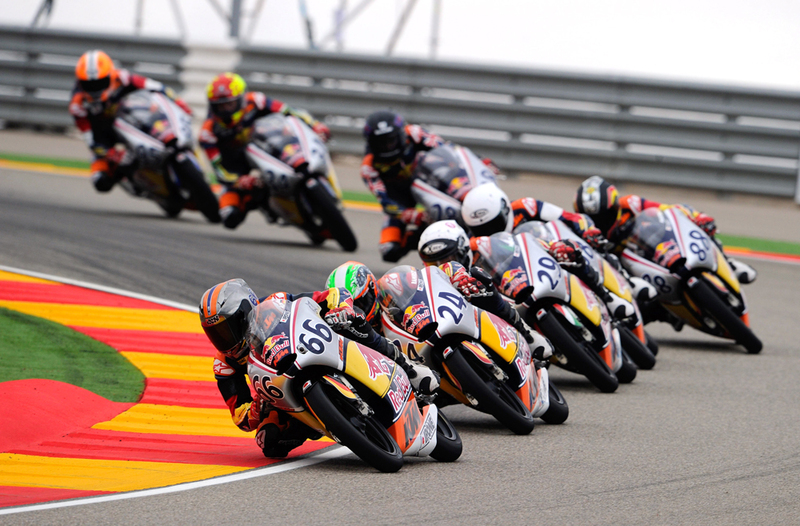 With four victories, four more podium places and only one finish outside of the top five, he eventually prevailed with a lead of more than 50 points. 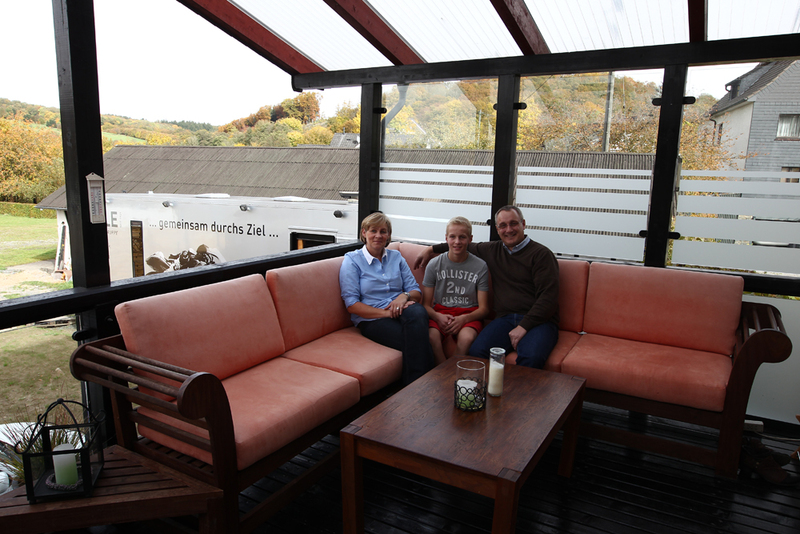 The atmosphere in the Alt family home is warm-hearted and relaxed. The property is rurally set. A staircase in the yard leads up to a wooden veranda with a large seating area. Florian’s 125 DUKE, a 125 Adly quad and dad’s Mamola Boxer Cup Replica are parked below. The silver motorcycle transporter is parked up to the side of the yard. 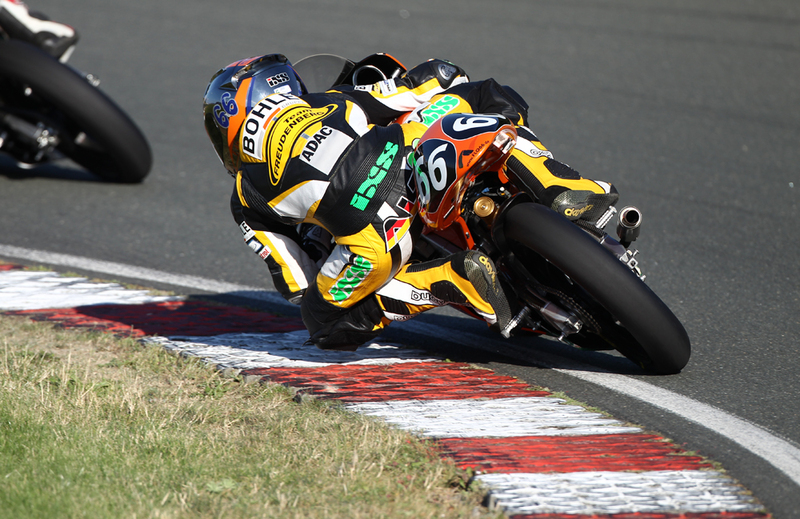 It is not possible for a teenager to be involved in motorsport without support from his or her parents. And it’s no different with the Alts. 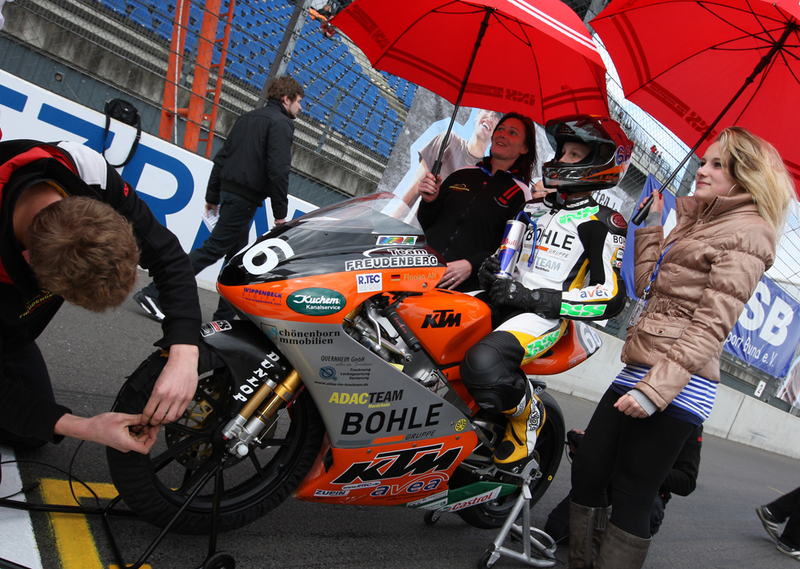 Father Uwe organizes everything and takes care of sponsors, while mother Heike relieves some of the pressure. His older sister Sina often attends races to cheer him on. Noteworthy: Florian Alt is not a fan of Facebook or Twitter. “They’re a waste of time. I can do without them. Anyone who wants to get in touch can e-mail me via my website www.flo66.de or send me an SMS.” He prefers to be outdoors in the fresh air, doing things with friends. 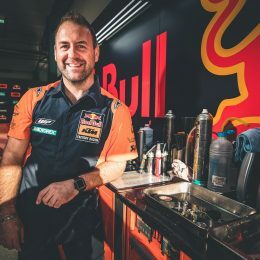 Riding Supermoto (on cordoned-off grounds on his 450cc KTM), badminton, jogging and football are some of his other hobbies. 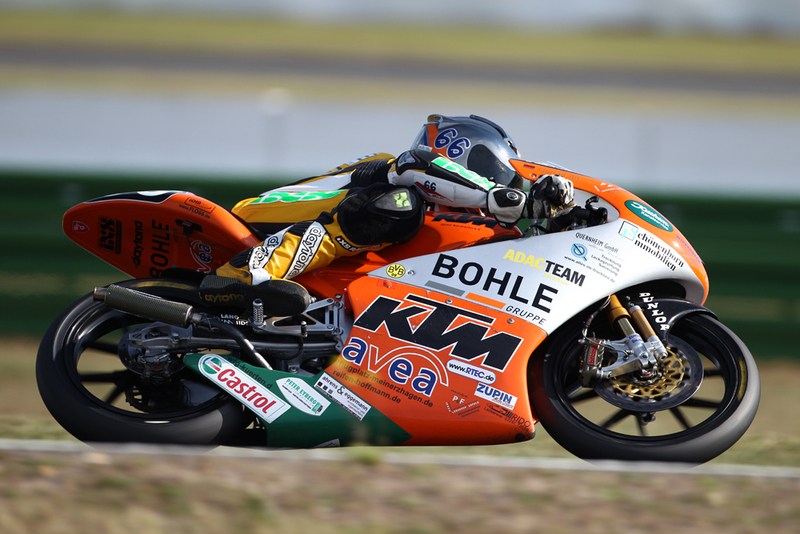 Flo recently tested a Moto3 machine at the Pannonia Ring with the KTM test team. “It went very well. 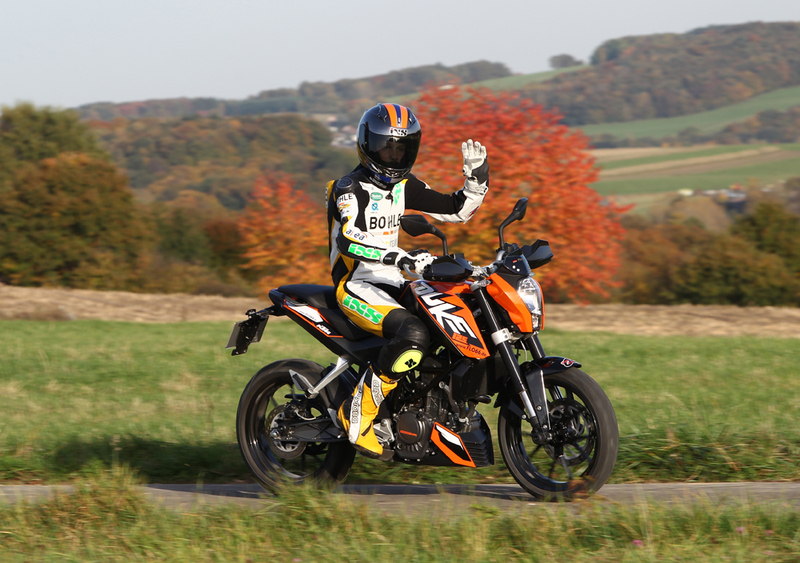 I was impressed with how nice such a 250cc four-stroke is to ride. 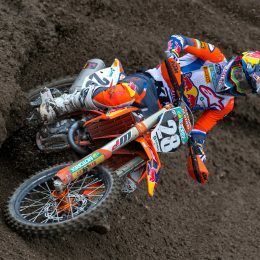 This transition from two-stroke will, of course, need a little time. 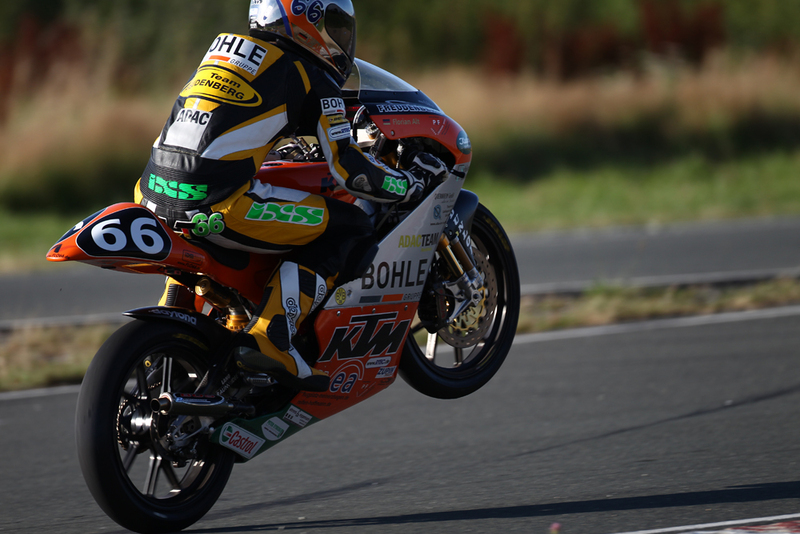 But it has put my mind at rest knowing that it’s not impossible.” It had already been decided before our visit that Florian Alt would be hitting the big time and would be part of the Moto3 pack (thanks to a Kalex KTM with Kiefer Racing from Bad Kreuznach) in the FIM World Championship.